Actually, I don’t plan to take part in any campaign or adventure as a player: I like DMing, and that is what I hope to do in the future. In the unlikely event of having to create a character, I’d go for the paladin. 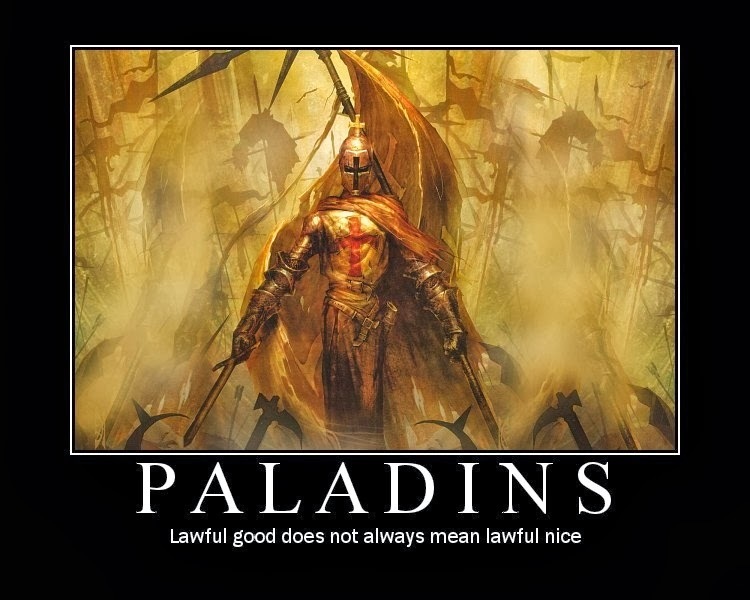 I know, it is a difficult character, who due to his restrictions and moral standards binds the whole group, and before playing a paladin I’d feel obliged to ask my fellow players for their approval. RPGs are for me a wonderful gate to adventure and heroic deeds. 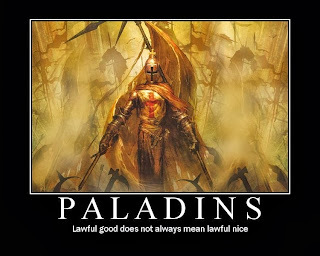 And paladins are heroes in their purest form!